Also, Chinese military planning changes, a U.S.-South Korean military deal, and Edward Snowden in India. Mid-week links. According to a Reuters report, the U.S. Justice Department is investigating export and import controls at Honeywell International Inc. after the firm included Chinese parts in components it supplied for the F-35 fighter. The Pentagon has already on two separate occasions waived laws for Honeywell over Chinese-built components in U.S. weapon systems built in 2012 and 2013. The investigation underscores a wave of concern that the development of the F-35 could be open to security breaches, although there is little evidence that the Chinese-made components pose any threat to the development of the jet. A spokesman for the Defense Department clarified that the Chinese-built sensors would eventually be replaced. After reports emerged early in the new year that China would revamp its military regions, creating a joint operations command, further reports suggest that the PLA Air Force (PLAAF) is undergoing reorganization as well. SinoDefense describes the planned changes for the PLAAF (which have been in the works since 2012). Foreign Policy explores Edward Snowden’s activities in India, where he studied “ethical hacking.” Snowden’s activities in India were widely reported in the Indian press prior to Foreign Policy’s exposé, with Indian commentators priding themselves on Snowden having honed his technical skills with indigenous Indian training. The United States Air Force is teaming up with Boeing to increase the B-52H bomber’s “smart weapons” payload by 50 percent. The B-52H is already a formidable and persevering piece of air force hardware and the improvements will serve to add precision-guided weapon launch capability to the B-52’s bomb bay. 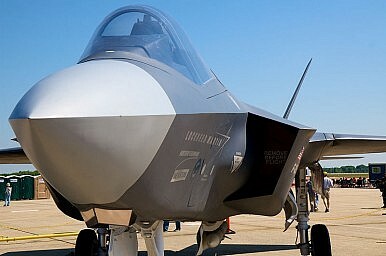 So, who wants the F-22 Raptor?